Construction on the Highway 427 expansion project began in May 2018. Image courtesy of Floydian. The estimated investment of the Highway 427 expansion project is $463m. The Highway 427 expansion works will be carried out by LINK 427 consortium. Image courtesy of Floydian. 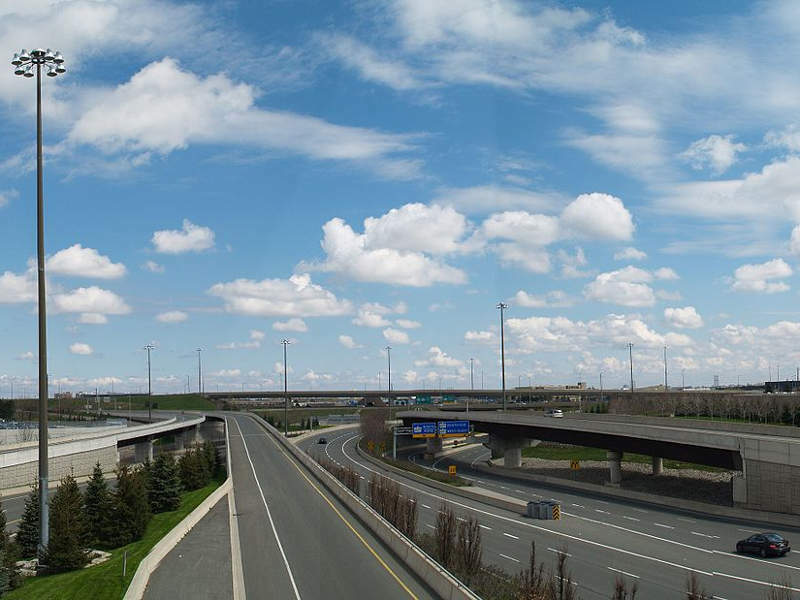 The Highway 427 expansion project will involve a 6.6km extension from Highway 7 to Major Mackenzie Drive, and widening of a 4km-long section between Finch Avenue and Highway 7 in Ontario, Canada. The project is being executed by Infrastructure Ontario (IO) and the Canadian Ministry of Transportation (MTO) with an investment of C$616m ($463m). The ground-breaking ceremony of the project was held in May 2018, while completion is scheduled for 2021. The expansion project is expected to create approximately 1,000 jobs a year during the construction period. The Highway 427 expansion project is being executed using IO’s Alternative Financing & Procurement (AFP) model, in which provincial ministries and/or project owners establish the scope and purpose of a project. Canada’s Ministry of Environment and Climate Change (MOECC) granted approval to the Highway 427 Transportation Corridor Environmental Assessment (EA) in November 2010. 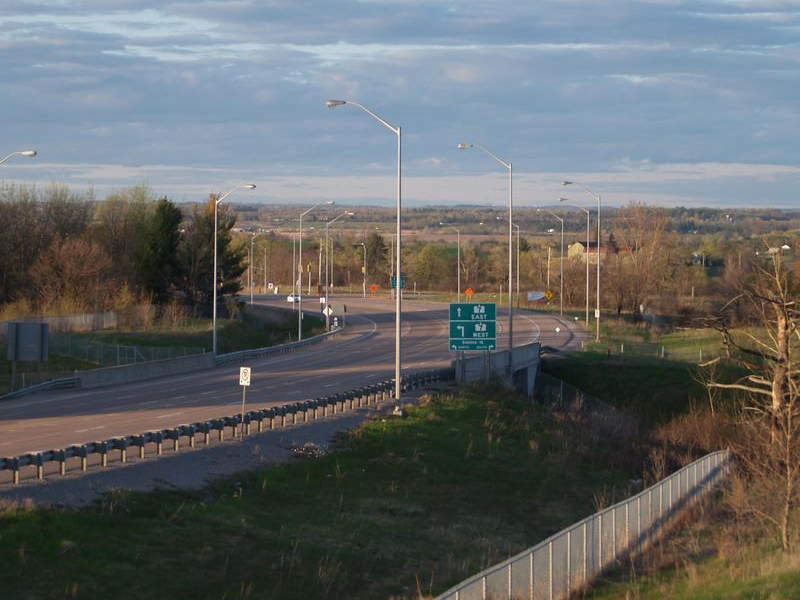 A transportation environmental study report (TESR) was completed for the widening of the current Highway 427 from Albion Road to Highway 7 in 2013. A separate TESR for additional lanes to the extension project was completed in 2016. The project is being carried out according to the MTO Class Environmental Assessment (Class EA) for Provincial Transportation Facilities (2000). A total of six design and construction reports (DCRs) will be made for documenting the various components of the detailed design. The 6.6km extension from Highway 7 in Toronto to Major Mackenzie Drive in Vaughan involves the construction of an eight-lane section from Highway 7 to Rutherford Road and a six-lane section from Rutherford Road to Major Mackenzie Drive. Designed in a Parclo A-4 configuration, three new interchanges will be built at Langstaff Road, Rutherford Road and Major Mackenzie Drive. A new overpass will be built at West Robinson Creek. The works also include ramp upgrades at Highway 7, traffic signals for exit ramps, and free-flowing loop-shaped entrance-ramps in both directions of the crossing street. 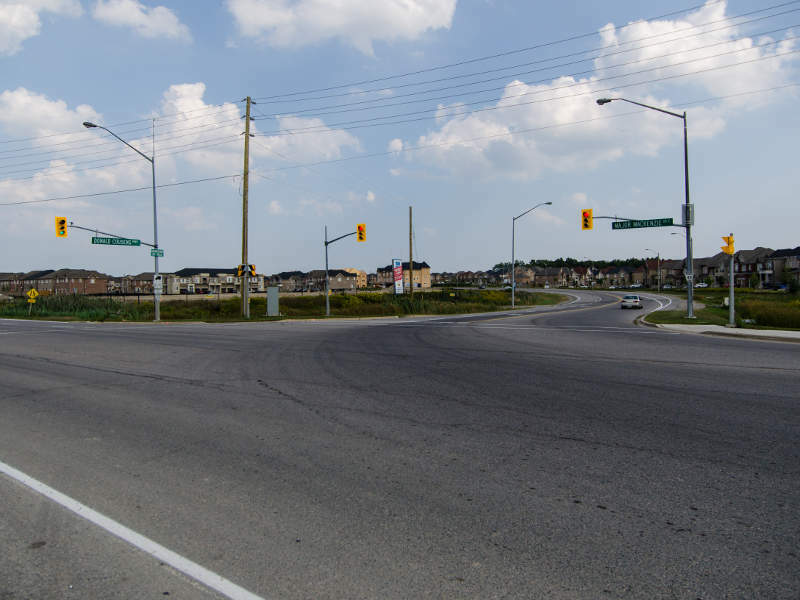 The 4km-long road widening from Finch Avenue to Highway 7 involves widening of the existing six-lane road section from Finch Avenue to south of Steeles Avenue to eight lanes, including six general purpose lanes and two managed lanes. The existing four-lane section from south of Steeles Avenue to Highway 7 will also be widened to eight lanes. The existing bridges will be widened and rehabilitated wherever required. All the general purpose lanes will be 3.75m-wide with 1.25m-wide painted buffer. The highway cross section features 4.25m-wide fully paved median shoulders and 3m-wide fully paved outside shoulders, while the speed change lanes will be 3.5m-wide. New median high-occupancy toll (HOT) lanes will be built in both extensions and widening sections. The project will further include construction of overpass and underpass structures at multiple locations. The expansion works, when completed, will provide an improved freeway route into York Region, the Vaughan Business area and the CPR Vaughan Intermodal Facility, which will drive economic growth in the region. In January 2017, the ACS Group-led LINK 427 consortium of engineering and infrastructure development firms secured a contract to design, construct, finance, operate and maintain the highway expansion project. WSP is responsible for the design work, while the construction activities are being undertaken by Dragados Canada, Brennan Infrastructures, and Bot Infrastructure. ACS Infrastructure Canada and Brennan Infrastructures will provide project maintenance services over a 30-year concession period.